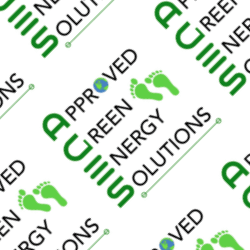 Approved Green Energy Solutions also traded as A.G.E.S. The most outstanding thing about this case is not only did Approved Green Energy Solutions call people registered on the TPS, but that they were also accused or scamming elderly people by selling them double glazing window solutions they didn’t need. Alex Goldthorpe was also investigated by BBC1 Rogue Traders. It’s hard to say whether or not A.G.E.S. deliberately targeted numbers registered on the TPS, but we’ve never seen a case where the entity getting fined has called so many numbers registered on the TPS. In this case Approved Green Energy Solutions made 414,482 calls of which a staggering 334,879 (81%) were registered with the TPS. Equally as staggering was their admission that they didn’t know what the TPS was! That probably explains why they ignored the ICO’s initial letter to them. They were probably not sure what to say and thought if they ignored it, maybe it would go away. WRONG! Never ignore a letter from the ICO, they won’t just go away. Like many companies before them, Approved Green Energy Solutions came to the attention of the ICO through the complaints made against them. The TPS received 89 TPS complaints between April and July 2017 and the ICO received a further 18 complaints. “Approved Green Energy Solutions are a little unusual. We don’t just have someone breaking the regulations to make money, we also have someone going a stage further to (according to BBC1’s Rogue Traders) rip elderly consumers off with double glazing solutions they don’t need. It’s really important that all companies recognise that the number of complaints in comparison to the number of calls made is tiny. That is the risk you take every time you fail to screen your data against the TPS.